Money is a necessary part of everyday life and too often it seems as if there just isn’t quite enough to go around. Amscot Financial exists to help individuals make ends meet by guiding them to financial well being and aiding them in their everyday financial journey. Amscot’s core services include bill payment, check cashing, prepaid access cards, short term cash advances, money orders, wire transfers, notary services, fax services, and postage. Are you interested in finding an Amscot near you? Simply browse Amscot near me on the map below and find a list of Amscot locations nearest you. Need a better idea of what Amscot does and doesn’t do? Read on for facts, information, trivia and more. You’ll leave knowing Amscot better than the average employee! What year was Amscot founded? Like any modern business, Amscot was born out of an idea to fill a need that wasn’t being filled by any other business. As you search Amscot near me, consider how one man took it upon himself to fill a deep need in the financial world. In 1989, Amscot Financial was founded by Ian MacKechnie in Tampa, Florida. MacKechnie was an entrepreneur and businessman who moved with his family from Scotland to the United States in 1986. He came from a background of business and immediately took it upon himself to buy a small bakery in the Tampa area. He began to supply doughnuts and pastries throughout much of west central Florida. While running his highly successful bakery business, MacKechnie noticed that many of his employees were having their paychecks cashed at local convenience stores in order to avoid the hassle of visiting a bank branch. Many bank branches didn’t offer convenient hours and charged fees that employees were seeking to avoid. Immediately recognizing a demand for a check cashing business, MacKechnie sold off his thriving bakery company and instead founded a small check cashing company. He created Amscot, naming the business as an homage to both his new home in the US and his native homeland Scotland. Amscot offers check cashing, pay day loans, and so much more! What do you need to get a loan from Amscot? -A proof of income. This can be anything from your latest pay stub to a bank statement. -A valid government issued form of identification. -A checkbook or bank statement that includes checking account information. 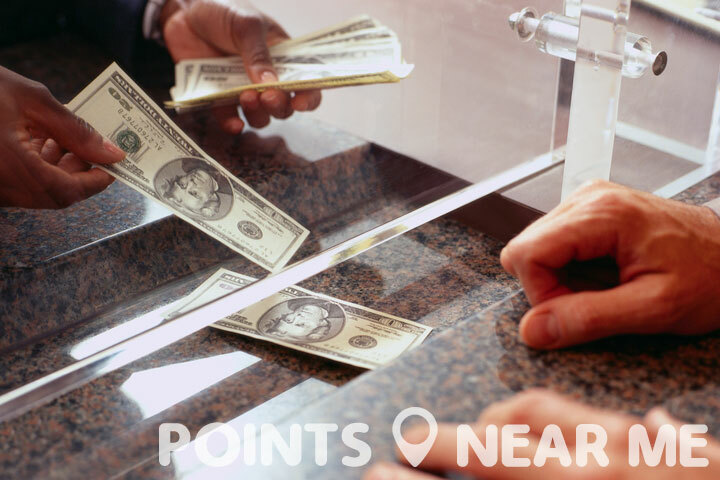 With these items in tow, you’ll be able to get the cash advance you need in no time from a qualified and trustworthy establishment. Don’t fall for TV advertisements with high rates of pay back, trust Amscot instead. While most individuals searching Amscot near me likely have a bank account, having your check cashed at a local bank can often be a huge pain, especially if you work odd hours or are faced with a holiday. Since most banks operate the same hours as one would work (ie: 9-6 or 9-5), it can impossible for many to make it to the bank before close without having to take a half day or cut out of work early. Luckily, Amscot offers check cashing services to lend a hand no matter what type of check you need cashed. Some of the different types of checks cashed at Amscot include: paychecks, government checks, insurance checks, tax refund checks, and personal checks. Every Amscot can also cash money orders, cashier’s checks, out of state checks, and traveler’s checks. All you need in order to cash any check at an Amscot location is a valid government issued photo ID. This can include a driver’s license, a passport,or a military ID. Unfortunately, a birth certificate or social security card won’t cut the mustard. Your ID must have a photo. Not only does Amscot cash almost every type of check out there, but they do it for far less money than most. Amscot can typically cash payroll checks for up to 70% less than state limits and government checks for a whopping 66% less. As if you needed anymore reasons to check out your local Amscot! Need a Notary, No Problem! At some point in every adult’s life, there is the need to find a notary! Most legal documents require the presence of a notary public long before they can be considered legally binding. As you search Amscot near me, consider if a notary public might be of use to you in the near future. Some major reasons why individuals seek out the a Notary public are contracts, affidavits, wills, trusts, and loans. A Notary public serves as an impartial third party witness that can confirm that all parties signing the document are doing so under their own free will and not under any kind of pressure or duress. Even if you’ve gone your entire adult life without needing a notary public, odds are there will come a day when you require services and Amscot comes to the rescue once again!